A toe ring is a ring made out of metals and non-metals worn on any of the toes. The second toe of either foot is where they are worn most commonly. This is because proportionately it is the longest toe and thus the easiest toe to put a ring on and stay without being connected to anything else. In most western countries they are a relatively new fashion accessory, and typically have no symbolic meaning. They are usually worn with barefoot sandals, anklets, bare feet or flip flops. Like finger rings, toe rings come in many shapes and forms, from intricately designed flowers embedded with jewels to simple bands. 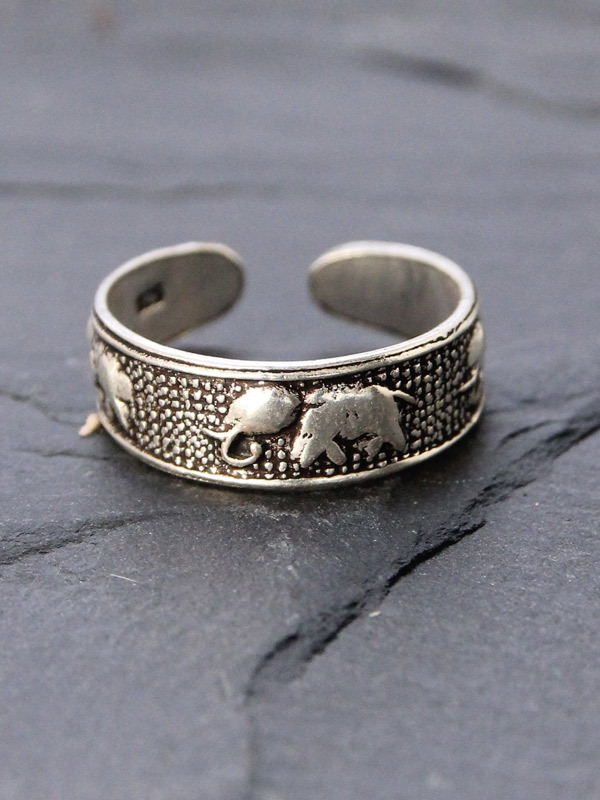 Fitted toe rings are rings that are of one size, whereas adjustable toe rings have a gap at the bottom so they can be easily made to fit snugly.